After the Great War ended in November 1918, the identity of the United States changed both domestically and internationally. No longer an isolationist nation, the United States had taken a new role in world affairs and U.S. national leaders understood the critical need to honor the veterans and the fallen who helped shape this new identity. 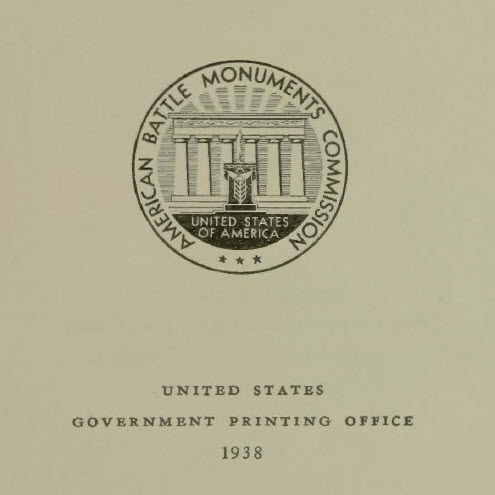 ABMC was created in 1923 to manage the country.s overseas, World War I cemeteries and memorials, and part of the agency.s work included the writing and publishing of .American Armies and Battlefields in Europe: A History, Guide and Reference Book..
A massive undertaking at the time, this nearly 600 page book was first published in 1927 to commemorate America.s involvement into World War I. 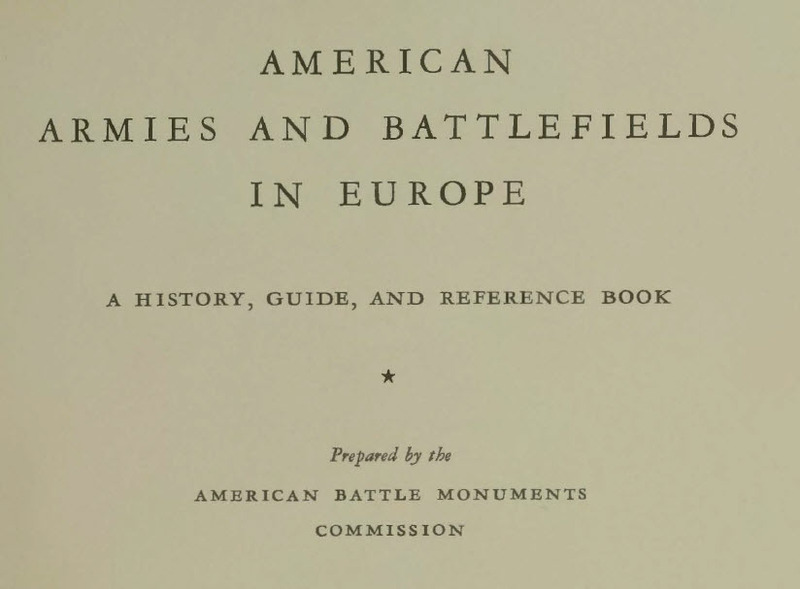 Originally titled .A Guide to the American Battle Fields in Europe,. the book served as a guide for Americans traveling overseas to visit World War I battle sites, cemeteries and memorials. By 1938, the book was expanded with additional research to serve as a history of the American Expeditionary Forces. accomplishments. Among the contributing authors was Maj. Dwight D. Eisenhower who was assigned to ABMC by the Army in the 1920.s. The expanded volume was then retitled .American Armies and Battlefields in Europe: A History, Guide and Reference Book.. Considered one of the most comprehensive, historic books detailing American involvement in the war, this resource is now available on the ABMC website in a fully searchable, free PDF document. 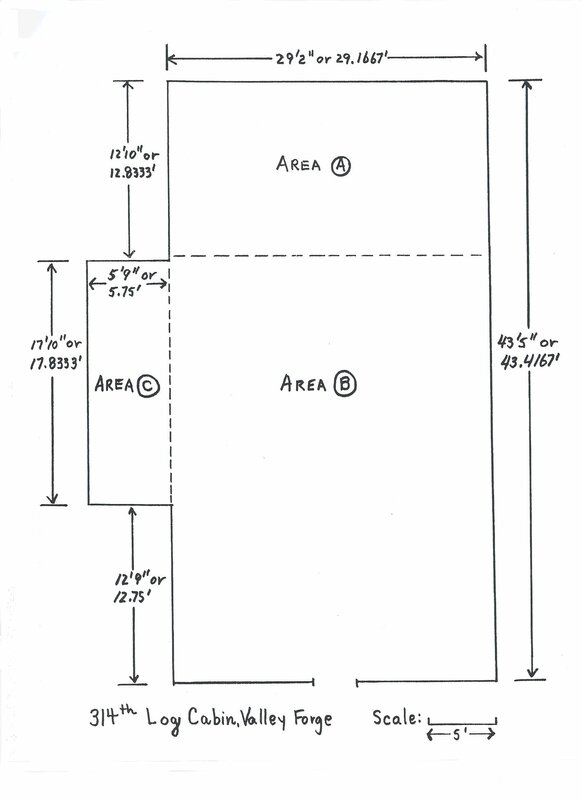 The digitization of the 1938 volume and its accompanying maps was completed in concert with the Virginia Tech Office of Digital Imaging and Archiving (link is external). With more than 100,000 American deaths suffered during U.S. involvement, this war remains a defining factor of how the United States evolved as a nation during the 20th century. Keeping true to Gen. John J. Pershing.s original promise, .Time will not dim the glory of their deeds,. ABMC will continue to bring new resources, such as this book, to the public for a richer understanding of World War I.